WHO SHOULD POST ON THIS BOARD? BPDFamily.com > Relationship Partner with BPD (heterosexual or gay) > Romantic Relationship | Bettering a Relationship or Reversing a Breakup > Topic: WHO SHOULD POST ON THIS BOARD? Summary: Understand the thought patterns of a BPD spouse, girlfriend, or boyfriend. Learn relationship building and communication skills, and strategies for personal growth, as well as, problem solve with other members. Audience: For members who are in a relationship with someone who is suffering with BPD traits and who want to improve the quality and safety of the day to day family interactions. Objective: To improve the quality and safety of your day to day family interactions. General Approach: The approach is four-fold: 1) to understand the fundamental struggles of a person with BPD and the challenges that this disorder brings to a relationship; 2) to understand our role in the relationship problems; 3) to learn tools and techniques to help in day to day interactions; and 4) to learn healthy and constructive ways to develop ourselves inside and outside of the relationship. A relationship with a borderline requires a great deal of strength - the healthy partner must assume the role of emotional caretaker or emotional leader in the relationship. This requires strength, understanding, knowledge and patience. Self-care provides us strength, understanding connects us, knowledge guides the our behavior through which we affect others and determines what is perceived. Patience and time are on our side. Should I use "Bettering" or the "Conflicted Board": The " Bettering a Relationship or Reversing a Breakup" board is for members looking to solve specific relationship problems, to be coached on the use of relationship tools, and to examine their role in relationship conflict. The "Conflicted or Just Tolerating a Relationship" board is for those seeking some emotional support and coping skills, but are not motivated for problem solving or learning relations tools at this time - or who are conflicted about staying in the relationship. Please do not urge participants to exit their relationship. Members post here to find solutions to difficult problems. Please allow them the opportunity. Please do not use this board as a place to complain about your partner without seeking constructive relationship advice. We are here to find solutions. It is a given that our partners are difficult. We are not victims and this board is not about right and wrong. Please do not take sides in couples disputes or seek to have other members agree, support or defend your position in your relationship disputes. This will only serve to polarize matters in your real life and make resolution further out of reach. Comment: Little is intuitive in a BP relationship. We encourage all members to read our starting guide - Before You Can Make Things Better - You Have to Start by Not Making Things Worse. This is a high level discussion board for solving ongoing, day-to-day relationship conflicts. Members are welcomed to express frustration but must seek constructive solutions to problems. This is not a place for relationship "stay" or "leave" discussions. Please read the specific guidelines for this group. This is a support community for the family and relationship partners of individuals with borderline personality disorder traits (BPD). Our collective mission is improving member lifestyle and emotional well being through compassionate support and education. Frequently asked questions, how-to instructions, trouble shooting and questions about the community. This Board is for romantic partners who are in a relationship or who have just broken up and are seeking to rekindle a relationship. This board supports those who are tired of fixing and who are questioning their relationship future. This board is for members who are grieving the loss of a relationship, are trying to detach from their ex-partner, and are in the early stages of emotional recovery. This board is for members who are grieving the loss of a relationship at an advanced level, doing the postmortem, and are ready to evaluate their own emotional health and behaviour. This requires a self-awareness deep dive. Requirement: Member must have 10 or more posts to participate. This board is for members grappling with custody issues and discusses family court, co-parenting/parallel parenting, and parental alienation strategies. This board is for adult children of a Borderline parent, or family members of someone with BPD. This board provides support for parents of children who suffer from BPD. It follows the basic principles of the Family Connections program developed by the National Education Alliance for Borderline Personality Disorder (NEABPD). This is a skills library containing tools for relationship building, coping and self-discovery. This board is not for questions related to a specific person in your life. This board is for general questions about BPD and other personality disorders, trait definitions, related diagnostics, management and care. Topics should be formatted as a question. This board is not for questions related to a specific person in your life. This is a library of book discussions, reviews and recommendations. This board is not for questions related to a specific person in your life. This board contains articles and member reviews of articles for the family and relationship partners of individuals with BPD. This board is not for questions related to a specific person in your life. Articles from other websites for critique and discussion. The best authors are often interviewed or commissioned for bpdfamily articles. This board is not for questions related to a specific person in your life. Member surveys for participation and review/learning. This board is not for questions related to a specific person in your life. Off topic board for member fellowship. If you are in toxic gridlock with your partner... . meaning that you have given up trying to work with your partner and/or find it pointless please post on the Conflicted and Undecided boards. Please do not take sides in couples disputes or seek to have other members to agree, support and defend your position in your relationship disputes. We are not victims and this board is not about right and wrong. This will only serve to polarize matters in your real life and make resolution further out of reach. Please do not urge participants to exit the relationship. Members post her to find solutions to difficult relationships. People who are staying with a person with BPD need a safe place to post and get support. We can't help and support people if they aren't here. Please allow them the opportunity. The people posting here are with the BPD person in their life and have made a commitment to stay (at least for now) and make the best of it. They are interested in learning tools of listening with empathy, validation, communication, etc., to help improve the relationship. Please don't urge somebody to "run" as that isn't what people want to hear if they are posting on Staying. If someone posts something that is alarming because they are describing serious abuse towards themselves or abuse towards children, it is appropriate to urge them to seek legal or medical help. If you see posters violating this guideline, please feel free to notify a staff member. It is acceptable to mention the difficulties of staying, but comments such as "Run and don't look back. Look at my life - don't make the same mistake. You are wasting your time. You should leave now" are not appropriate on this board. 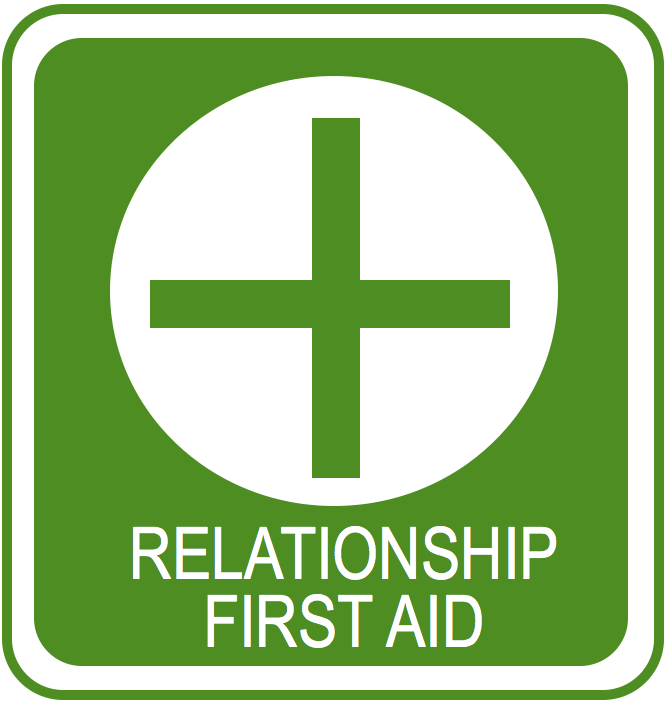 If you are participating in a therapeutic separation... . You are encouraged to post on this board to develop relationship skills. Your personal inventory, however,should be posted on the Personal Inventory board. It is good to step back from time to time and review the basics of coaching each other. Are you helping or enabling? All of us are dealing with exasperating situations in our real life. It is our responsibility as we coach one another other to help others be more mindful--bringing matters into calm, clear and balanced focus. We are in a good position to do this because we are not emotionally caught up in the event or the ongoing cycle of conflict. Sometimes we lose sight of this and instead focus on validating the member because we know they can feel very invalidated. "Its not your fault", "you don't deserve this", "whatever you feel is right" . Validation as a means to compensate for the invalidation one feels in their relationship is not healthy or helpful - it's enabling. Sure it feels good, but people with codependent or NPD tendencies (us) need to learn to improve our own self soothing--not find alternative outside sources outside of the relationship (each other). The danger is that "Its not your fault", "you don't deserve this", "whatever you feel is right" often polarizes the situation at home -- takes the focus away from relationship problem solving - enables dysfunction in us as it can becomes a replacement for self soothing. Just something to keep in mind as you help others. Why are threads moved? It the macro sense, all of the messageboards here will naturally devolve into a BPD bashing/blaming format if the staff and senior members do not have clear board values, rules, and boundaries and enforce them. We are who we are because we vigorously protect our board missions. "Improving" is our highest level board. I think we all see the wisdom in this when the members saying "run!" are relocated away from the Improving board. This message is a significant threat to the board and the shear volume of members that would post it, if allowed, would over run the board in no time. These members are justified in their feelings and we have a place for these members to express it (The Detaching Board). There is a second common threat - triangulation. Triangulation is the second greatest threat to the "Improving Board". It generally manifests as posters looking for members to validate their position in couples disputes. The outcome is to generally make matter worse - this dynamic polarizes the couple and expands or entrenches the couples dispute. There is good information here on this dynamic: triangulation Going through phases of this is often part of the process - we can't deny that - we have a place for these members to express it (The Undecided Board). Does one "off topic" thread get you moved? No. The moves typically come after an extended period of off topic threads and review by the four or more moderators. Most often there is an attempt by senior members to coach on-board and staff may be involved in off-board coaching. Sometimes, there is no-offline coaching because it is recognized that the member is committed to their position at the time and the move is to give them space to work it out. Isn't this harmful to newbies? No. The staff and senior members are all are of the "mentor" model. In this model, newbies get a wide berth to release pain and frustrations - flip around a bit for their first 10 - 25 posts - while senior members are held to a higher standard of knowledge and emotional intelligence and balance. Senior members on "Improving" and "Parenting a Son or Daughter Suffering from BPD" and "Family law, divorce, and custody" are held to pretty high standards. I hope this helps and I hope everyone can accept that this is just part of the process for all of us. Moderators - I'm glad you pointed out about people saying you should run... .I'm a new-ish member and when I first posted on here, I got someone saying that things are only going to get worse for me and that I should leave now! I was so upset and even scared by the comments that I got, because up until then I had every faith that with a LOT of work, talking, understanding and communication things will be ok, even through the bad days! I spent the next few days really worrying about what I should do! I am determined to stick my relationship out and my BPD partner knows his faults and has been in DBT theropy for the last 2 years, and the guys comments really made me feel quite angry as my partner does everything to help himself. Not all BPD sufferers are the same and my partner acknowledges his illness and talks to me about it a lot. You've just read a post that is rubbing you the wrong way. Your immediate reaction might be "I disagree", or "How insensitive!" or "He doesn't know the whole story" or "Shes wrong". It's tempting to want to fire off a counter response ... .
bpdfamily.com is a lively discussion site. We have people here from all walks of life, all stages of recovery from unhealthy relationships. And maybe most importantly, all sorts of different personalities. Posting to a discussion site is, well, an invitation to discussion. Beyond the limits set in our Guidelines, we can't dictate the kind of discussion that ensues. You are likely to encounter some posts that you don't like. If so, pause, become mindful that you are reacting, and step away from the computer. Have a cup of coffee. Take a walk. Pet your dog. As with things that the person with BPD in our life says and does, we're here to learn to be mindful and make better choices about how to handle our impules and reactions. And similar to therapy, sometimes - not always, but sometimes - the replies that make us uncomfortable, are precisely the areas we can benefit most from exploring. We often learn from those we disagree with - if we listen. Forum is different than debate. Debate is an argument or a discussion generally ending with a vote or best decision. In debate, unity is the objective. At bpdfamily.com members are discouraged from debating - arguing against others' positions, questioning the wisdom of others, or restating of their position repeatedly. Hosting Discussions: Members are expected to be the "host" of any thread (topic) that they initiate. As a host, the member should guide the discussion to keep it on target, encourage the contribution of other members, summarize or comment on the overall information provided, and otherwise be a good host. If, as host, you find advice from members to be emotionally triggering or if you feel misunderstood, please contact a moderator to have your thread locked. Members should offer advice as peer opinions targeted directly to the host of the thread. Members shall be patient and understanding of other members that are in different stages of the learning or healing process or have different opinions that their own. Re: WHO SHOULD POST ON THIS BOARD? When we say we need to change ourselves, we mean... .We need to make ourselves healthy again. We learn to set limits and define our own boundaries... and we learn to enforce them. We stop trying to micromanage them, we stop trying to manipulate our lives to avoid unpleasent episodes, we allow them the space and time to regulate their emotions and we do the same for ourselves. All of these things get us back on the track for emotional well being and also can greatly improve our relationships. We certainly understand and support those that do choose to leave, yet this board is where we learn skills that can improve us AND our relationships.